Cacti are farmable items similar to trees that yield cactus flesh and cloth. 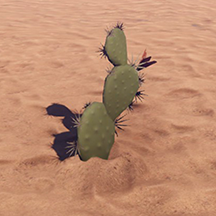 Cacti appear exclusively in the arid biome. All cacti are able to be gathered, including succulent plants.